Aircraft information: The Citation Jet (CJ) was launched in 1989 as the replacement for the original Citation I. The first flight of the Citation Jet took place on April 29, 1991 and the first Citation Jet was delivered on March 30, 1993. The design was improved with more powerful and efficient engines, and the flight deck received a glass cockpit. The design proved very successful and many variants developed from the original CJ to the larger CJ4. The aircraft is certified for operation with one crew member. The latest variant, the M2 is currently under development, it was launched in September 2011. The M2 is based on the out-of-production CJ1 variant and has similar avionics a new cabin layout and a more-efficient version of the William FJ44 engine. The M2 first flew on 9 March 2012. 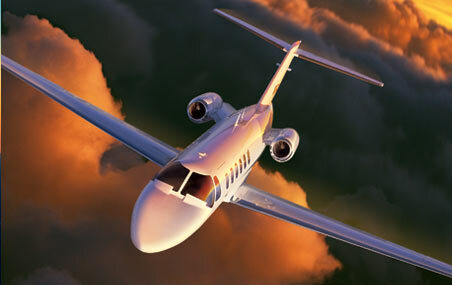 Did you know that Citation 650 is a midsize high performance business jet. The first flight of the Citation III jet took place on May 30, 1979 and the prototype was certified by the FAA in April 30, 1982. This CE-525 type rating course leads to the Pilot in Command type rating. This type rating will be added to a FAA Private, Commercial, or Airline Transport Pilot license. This CE-525 type rating course meets the FAA Type Ratings practical standards (which is the same as the ATP practical test standards). Upon completion of the practical test, a Pilot in Command type rating (for PIC type rating) will be added to a FAA license. Since the practical test and check-ride is completed in the aircraft, there will be not be any restrictions on your license. There are two type ratings available. The crew CE-525 type rating , in which case a second in command is required or the CE-525S type rating which allows the aircraft to be flown as single-pilot. Premier Jet Training are conveniently located in Stuart, FL. Contact us today! Get your CE-525 type rating now! This CE-525 type rating course leads to the Second in Command type rating. This type rating will be added to a FAA Private, Commercial, or Airline Transport Pilot license. This Second in Command type rating course meets the FAA training requirements per 14 CFR Part 61.55. Upon completion of the training, a Second in Command type rating will be added to your FAA license. Since the training is completed in the aircraft, there will be not be any restrictions on your license. This upgrade type rating course meets the FAA Type Ratings practical standards (which is the same as the ATP practical test standards). Upon completion of the practical test, a Pilot in Command type rating will be added to your FAA license. Since the practical test and check-ride is completed in the aircraft, there will not be any restrictions on your license. This CE-525 type rating course leads to the CE-525S Pilot in Command type rating. This type rating will be added to a FAA Private, Commercial, or Airline Transport Pilot license. This upgrade type rating course meets the FAA Type Ratings practical standards (which is the same as the ATP practical test standards). Upon completion of the practical test, a Pilot in Command type rating with single-pilot privileges will be added to your FAA license. Since the practical test and check-ride is completed in the aircraft, there will not be any restrictions on your license. This CE-525 type rating recurrent course meets the FAA type ratings practical standards, and the requirements of 61.58. Upon completion of the FAA Check-ride, a 61.58 endorsement and a recurrent course completion certificate will be issued.